I guess we can kiss off peak service on the BM4, QM4, BXM4 and BM5 goodbye. And I'm pretty sure that most express bus riders in those areas aren't going to use those "alternatives". They're going to start driving/ride hauling services and that causes more congestion. Is there a set date for congestion price to start in Manhattan? From what we can see congestion pricing won't matter because of the dates that these cuts would take place. Congestion pricing won't save the cuts, and you're right, those people will simply drive or take Uber, so this isn't solving anything. The people that have been salivating over having express buses cut will get their wish, and essentially no one will be able to get anywhere because the subways are going to be worse too based on the CUTS that the is proposing to that, so good luck getting around. This is a complete s*** show all around. Sure, Mr. Irick can say that demographic change have caused a 29% decrease in service, but let's not act like that's the sole reason for the drop. Where's the reliability stats, Mr Irick??? Express bus service has been so unreliable and prone to consistent cuts, that riders are not going to resort to use them. This is especially true on the SC bus routes, where I fear some of the more drastic changes will occur. Of course, I feel that every borough save Staten Island will feel the impacts. NYC is slowly turning into a car dependent city. 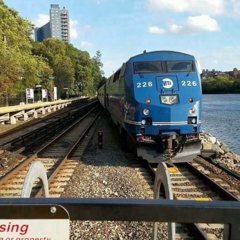 According to http://web.mta.info/mta/news/books/docs/special-finance-committee/MTA-Bus-BRPs.pdf, a public hearing will be held, meaning that the cuts are severe. Yes they will be because it's primarily for Bus where a number of routes will be peak only. Where are the exact cuts specified? Yes, it's mandatory that when the service cut is over 25% (IIRC), a meeting needs to be held. They aren't. They've been hiding them. I asked for the particulars and was not given an answer because they don't want to provide the info. They want to cut the service, period. They had an "emergency" meeting today to mention their true plan which has been their plan for MONTHS, but they threw this at us at the last minute on purpose, this way we don't have time to fight it. I wouldn't be surprised if the BxM6/BxM10 combo makes its way into those service cuts. Until about 15 minutes ago, I didn't know there was a meeting today. This is ridiculous. Nothing would surprise me. Looking at the amount of buses they plan on ordering, they plan on making SEVERE cuts. How many fewer buses are they ordering? IIRC a few hundred less than planned... You don't order so few buses unless you plan on cutting lots of service. I'm also thinking of an off-peak BXM7/BXM8 combo and possibly an QM15/BM5 combo. I don't see the first one happening, because ridership on both is relatively strong. The second one could end up happening. 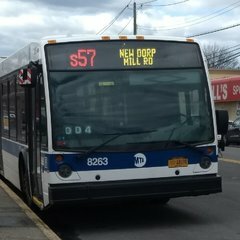 If those 2 merge.. East New York and Starrett City service goes bye bye b/c QM15 will be queens only..
Not really, the QM15 would take its regular route to Conduit Ave and then turn onto the BM5 route to Spring Creek. Service in Lindenwood would be gone though. Why does it seem like Charles Moerdler is the only one with a functioning brain on the MTA board? He seems to have some knowledge and history of MTA's operating budget. He can easily point out where the cost-cutting measures and I find myself agreeing with him on a lot of issues. He's really about to have a stroke (you can see veins poppin' out his head) if he has to listen to anymore crap the MTA is spewing out. Half the board members don't know what they're doing and just plain reciting facts. Another thing is he's caught up on everything, as a man who actually does his homework and research, he comes into these board meetings ready to counter half the points Byford spits out. Looks like Mr. Byford is really serious on handling the fare evasion portion of this agency. That wouldn't be a smart thing to do. Lindenwood is where a good portion of the off-peak QM15 ridership comes from. Eliminate that portion, and you lose those riders.